Bill McKinney, who famously asked Ned Beatty to “squeal like a pig” in the 1972 film Deliverance, has passed away. 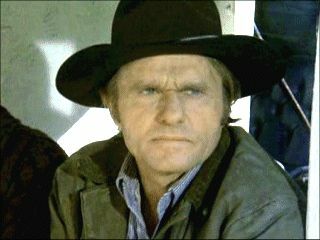 McKinney appeared in a number of films during his life, the most notorious of which was the aforementioned Deliverance, although he also made a name for himself appearing in a number of Clint Eastwood projects, including Thunderbolt & Lightfoot, The Outlaw Josey Wales, The Gauntlet and Pink Cadillac, among others. He had a role alongside John Wayne in The Shootist, and a number of cameo roles in films such as Back To The Future Part III, First Blood, and The Green Mile. His television appearances included roles in The Young Indiana Jones Chronicles, Murder She Wrote and Columbo. Mr McKinney passed away peacefully on December 1st, aged 80. Mr McKinney in 1999's The Green Mile. I recognise him from The Green Mile picture but I wouldn't have known he was the hillbilly from Deliverance.